Cardamom House is owned and managed by a retired British Physician. Here the atmosphere is completely informal and the daily activities of the house are tailored to accommodate the guest's own personal programs. 'Cardamom House' enjoys a stunning location on the edge of the monsoon dependent Kamarajar Lake which nestles in the foothills of the mountains of the Western Ghats. The close proximity of these mountains exerts a cooling effect to the climate of the area. Birdlife is abundant and we even get the occasional glimpse of a Leopard or Black Panther as they move silently through the undergrowth. Welcome to the newest addition to GRT Hotels and Resorts - GRT Regency, Madurai. Like every GRT property, GRT Regency is tasteful, luxurious and designed to bring alive for you, our patrons, the promise of more. Making your stay at GRT Regency just that little bit more memorable. Make your selection from 57 centrally air-conditioned rooms at GRT Regency, and check in to a world of comfort and luxury. Hotel Germanus is located in the heart of the most populous city in the state. It is located on the By-Pass Road in Madurai, the temple city in South India. Yet it has a sense of space arround its location, free from the hustle and bustle of the city. Hotel Supreme Madurai is a luxury hotel, is just a 5 minutes walk from the Railway Station and only 12 Kms. from the Airport. It is situated in a thriving commercial zone and is just 2 kms away from the great Meenakshi Temple. The hotel offers warm hospitality and modern amenities which makes it a perfect place for leisure as well as business traveler. Explore the temple museum, commune with the Gods; soak in the culture, or conduct business. Whatever the reason for your stay in Madurai, the Madura Park Inn can fulfill all your needs. The hotel is located at a comfortable 2.5 km from one of the most famous of Indian Temple's, The Meenakshi Temple. Scores of ceremonies invoking the gods are performed here through the year, and the temple museum is a treasure of art devoted to the Gods. Madura Park Inn is just the right halt for the transiting business person moving between Kerala, Tamil Nadu and Karnataka. Situated at a close distance from the railway station, the airport and the city's commercial centre, the hotel is a perfect oasis of warm hospitality. Fortune Pandiyan Hotel is the ideal place to stay for business and leisure travelers visiting Madurai. Celebrated for its Meenakshi temple, Madurai is one of India's oldest cities with a history dating back to the 6th century BC. 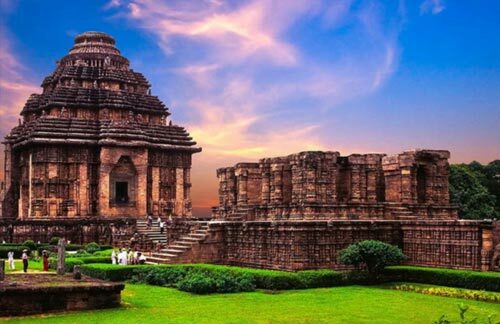 It was the capital of the great Pandya Kingdom until the 14th century and is now an important cultural, religious and commercial centre of South India. The newly renovated Fortune Pandiyan Hotel, a Fortune Welcomgroup Hotel, is set amidst 3 acres of landscaped gardens. Royal Court is a 3 star classified business class hotel. Mr. M.A. Yasin Mohammed is the Managing Director and Mr.Y.Rafiq is the Executive Director. The Royal Court brand has earned a reputation for first-class style and service among both business and leisure travelers. Building upon this existing reputation and goodwill as a foundation, the joint venture company will further enhance the brand's presence in the luxury segment of the hotel industry in Madurai. Royal Court professionals who has been trained in leading hotel management and catering institutes in India and abroad allows you to feel closer to home whether you're traveling for a few nights or longer. Star Residency Group Of Hotels started in the year 2008 is one of the best property in this temple city and most established world based global group for individual and independent travelers as well as leisure travelers. The company's strong prominence is on quality and consistent services. In the core of the luxurious and serene environment of Madurai stands Star Residency, the tallest tower in the city, which is a uniquely appropriate name for this hotel; where concern for guests goes hand in hand with friendliness. Perched atop the Pasumalai hill, amidst 62 acres of landscaped gardens, the hotel is a seamless blend of 105-year-old colonial architecture and recent renovations. It also offers picturesque views of the Temple City and the Kodai hills. A haven of solitude and relaxation, the hotel offers a relaxing palette of local colors, materials, and fabrics. Guests will find much to experience and see nearby including the famous Meenakshi temple and city centre. The Golden Park Madurai is a budget hotel located 12 km away from the airport. The hotel is in close proximity to the railway station and other places of interest including Meenakshi Temple. The hotel offers modern amenities and warm hospitality which makes it a perfect place for leisure as well as business traveler.